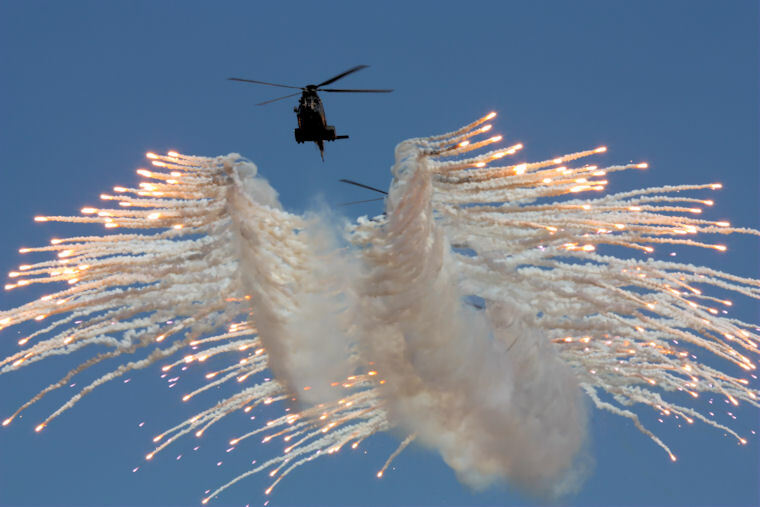 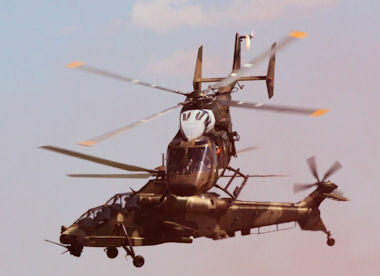 The Department of Defence hosted an Air Capability Demonstration at the Roodewal Bomb Range on the 10th of May 2012 and we were all blown away by what we saw. 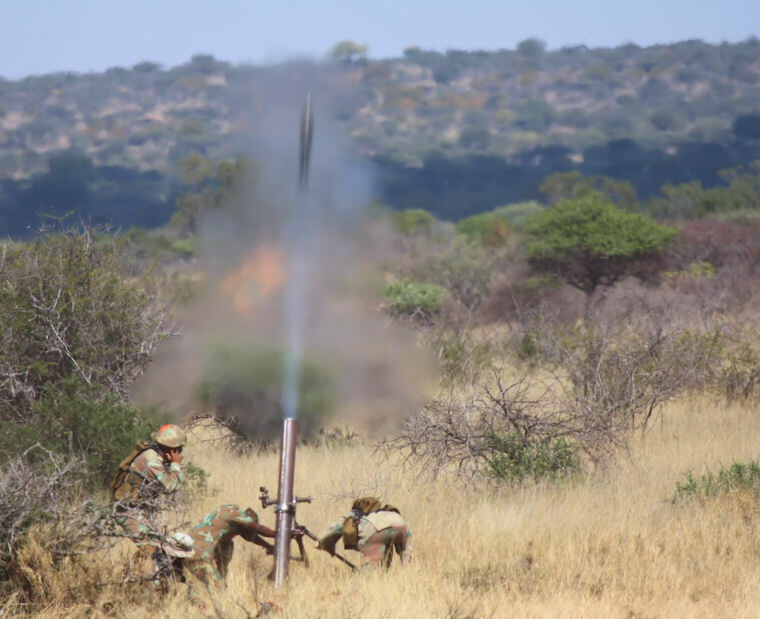 The day started off when all the invitees were flown in a MD82 from Air Force Base Waterkloof to Polokwane and then transported to the Roodewal Bomb Range by luxury bus. 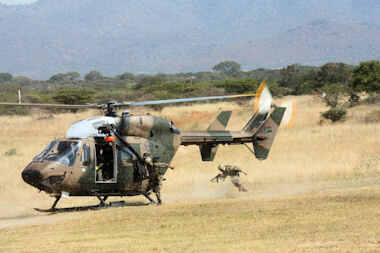 Soon after our arrival the demonstration was opened by Genl. 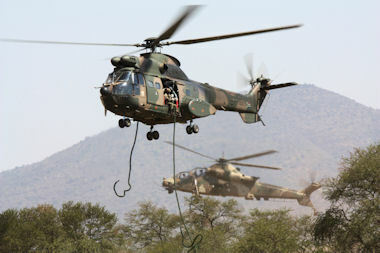 Gagiano, the chief of the SAAF who applauded the personnel for their commitment under difficult circumstances and continuing to keep the SAAF a formidable force. 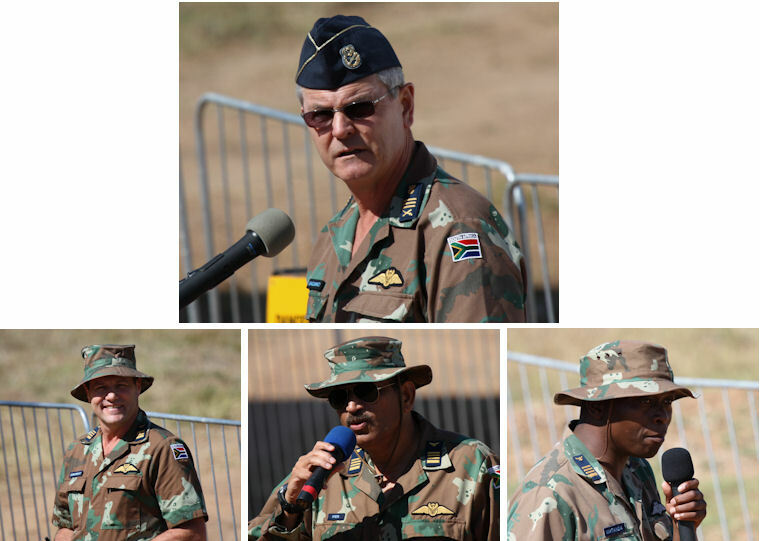 Throughout the entire display we were entertained by commentators Col. Engelbrecht, Col. Iyer and Col. Matanda who in turn provided up to date information during each phase of the event. 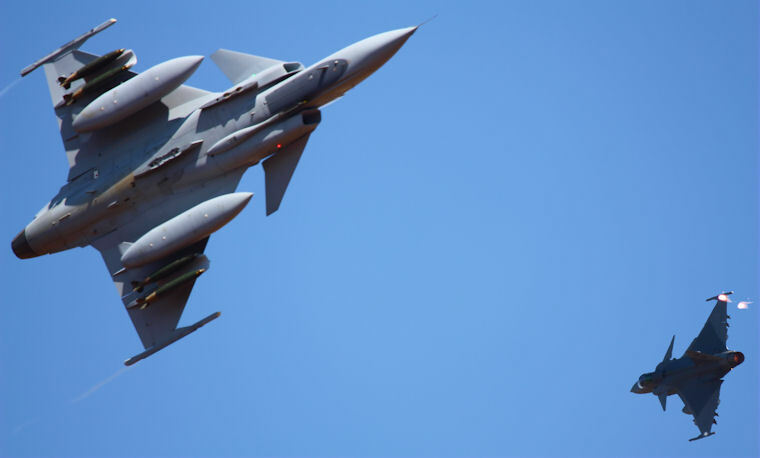 The sequence of events was structured to demonstrate the different phases and aspects of an attack and started off with a reconnaissance flight and then a simulated dog fight between by a Hawk and two Gripen fighter jets. 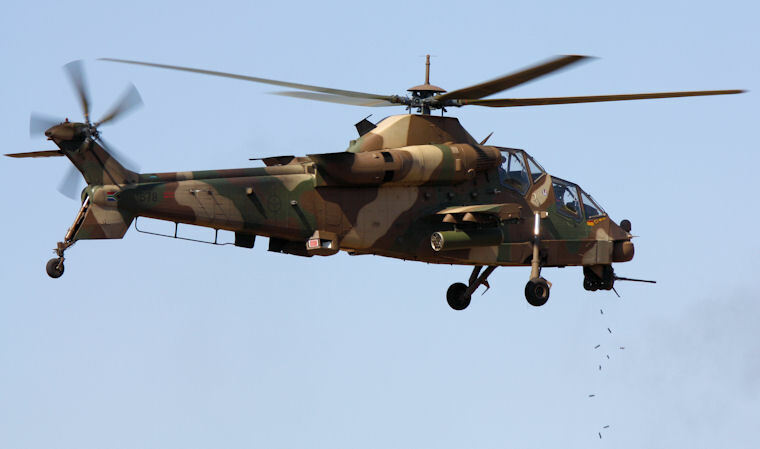 Next up was the invasion of ground troops dropped off by BK117 and Oryx Helicopters while air support was provided by four Rooivalk helicopters with continuous machinegun fire and regular missile strikes. 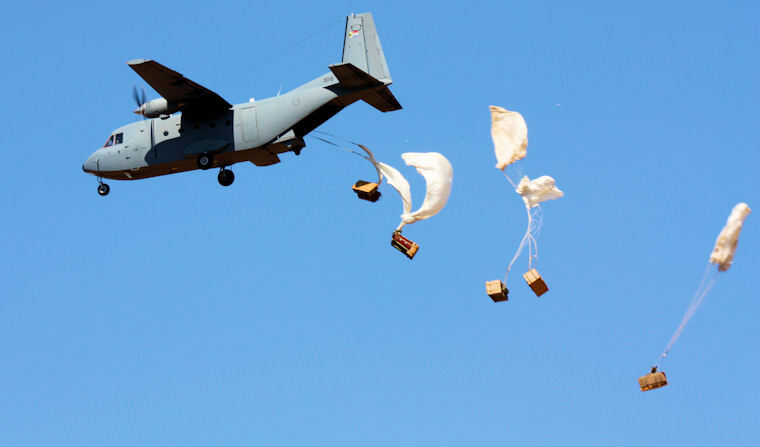 Providing relief aid or ground troops with supplies was also on the list. 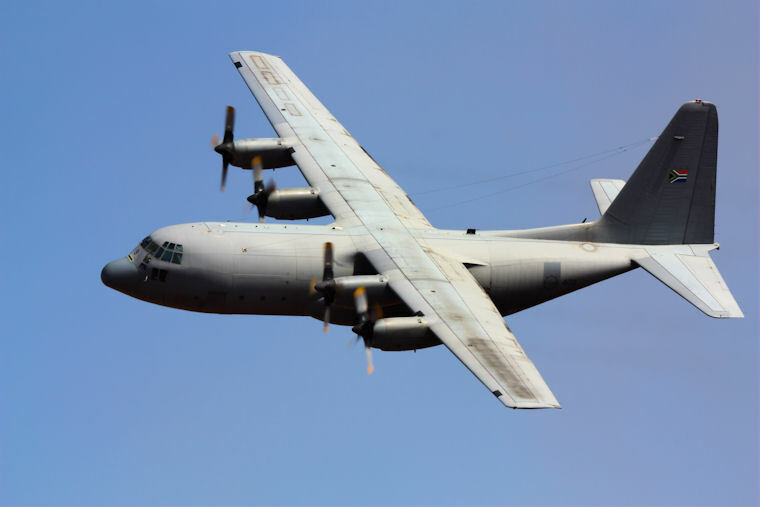 The Casa demonstrated a precision drop but the C-130 demonstrated the professionalism of the SAAF when the officer in charge decided not to release the drop due to technical challenges on board the flight. 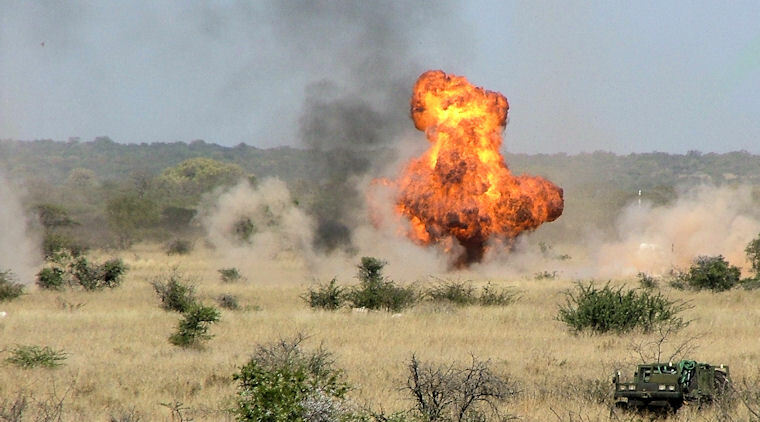 As if the onslaught from the air did not create enough smoke and dust, ground troops added to the mix by firing mortars from different sides. 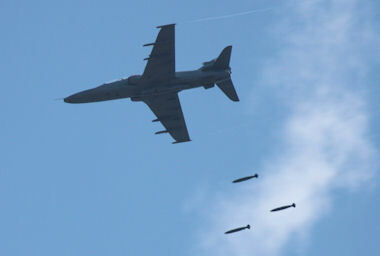 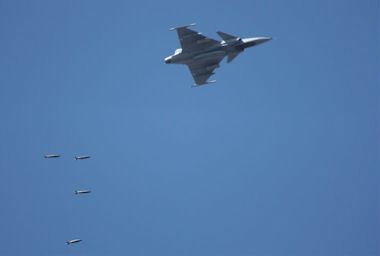 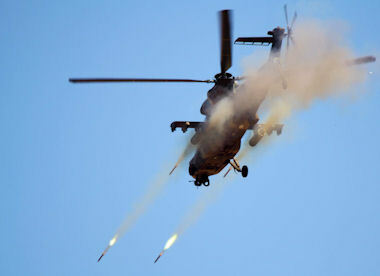 The attack was concluded with high-level bombing by two Hawks and two Gripen fighter jets. 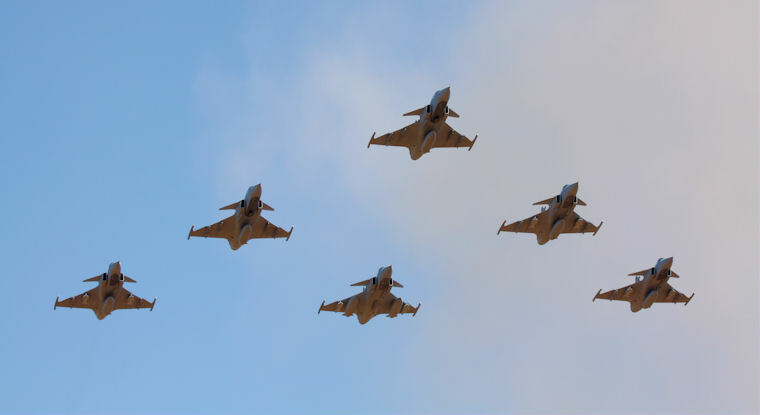 And what would a display like this be without a final flypast of nine helicopters, six Hawk and six Gripen fighter jets?